We’re firm believers that if you’re good at something, stick to it. That’s why we’ve been making shower heads, and only shower heads, for over 35 years. We’re passionate about showers, and we work hard to make sure that every Oxygenics shower is powerful and memorable. 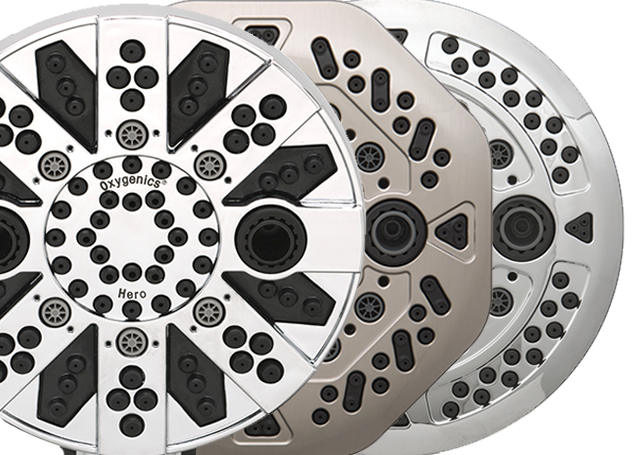 The Oxygenics engine is what drives our shower heads. Originally developed in 1981, it has been perfected over three decades to make the most of available water resources and provide a powerful, water-saving shower experience. Our cutting-edge technology works like a mini turbine jet – infusing the water with oxygen to expand each drop and significantly increase power. The result is a powerful, efficient and soothing shower spray that you won’t find anywhere else. Our brand is built on client and customer satisfaction, loyalty and passion. 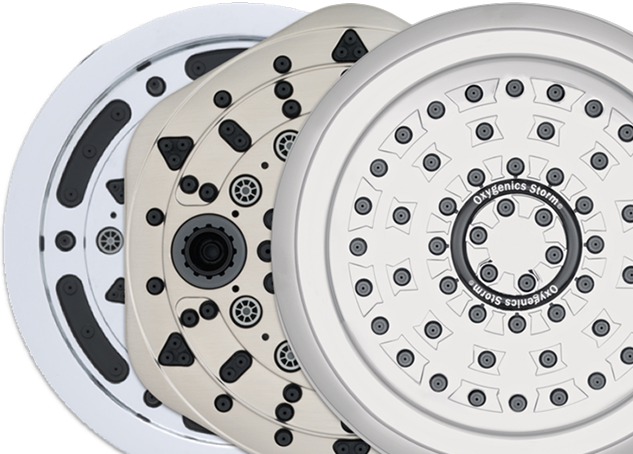 Oxygenics shower heads are built to last, and come with a “Never Clog!” warranty. We offer what no one else can: revolutionary, powerful technology that creates a money-saving, industrial strength shower head, making less water feel like more. Now that’s Pure Shower Genius.